When people hear you "work remotely" (especially if you're a travel writer), they pretty much assume you set your laptop on a beach chair, pop open a cold beer, and get to typing while scantily clad women fan you with palm fronds. Unfortunately, that's not true. I should know. After a year of working on the road from cramped coach seats, cruise ship lounges, and remote prairies in South Dakota, I’ve found that it's not nearly as simple as finding a seat in the Downtown Indianapolis Panera and busting out your laptop, even if the Indianapolis Panera is a lovely place to work. It often means crappy Internet, dead phone batteries, and a lot of frustration/wasted time. And it often means changing up how you work in order to get the most out of your time spent offline. And since you never know when the boss is going to send you to Davenport to close a big brake-pad deal, here are a few things I've picked up along the way that can help you work more efficiently while traveling. Gogo isn’t cheap and $29.95 might seem like a lot to pay for five hours of Internet from New York to LA. But if you take more than two flights a month, the monthly subscription ($49.95) is the cost-effective move. That said, subscriptions are ONLY good on the airline you purchased them on, so if you know you're flying Delta this week and United next, spring for the multi-airline pass ($59.95). Even then, you still need to be careful: Gogo bills automatically for the multi-airline pass every month until it's canceled. And the subscription doesn’t apply to Southwest. See, we told you Gogo was the WORST. Much like some family members, Gogo isn't to be depended on for much other than frustration. So use this time with the faster airport Wi-Fi to line up everything you might need in the air: download large files, open articles in separate browser tabs, and cut and paste important emails into a Word document so you won’t be stuck without them. 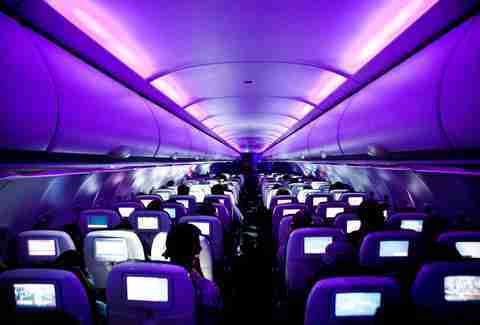 Even airlines that advertise onboard plugs often reserve those for first/business class or main cabin premium seats. (Think Exit rows and bulkheads.) The rest of us should plan to crowd around the charging station (the rules of which we've outlined here) when we get to the airport. Alaska Airlines and Virgin America are the only airlines I’ve flown recently that consistently have outlets. But even then, it’s not a guarantee. Like, as soon as you hear that magic “ding” that announces “time to get to work,” start downloading like you’re a 12-year-old with parents on their way home. Or, do whatever it is your doing that involves the Internet. As is the case with most connections, the more people online, the slower it gets. For the first 20 minutes of the flight, I've found in-flight Wi-Fi is almost usable. Trans-Atlantic/-Pacific flights are another deal but on flights across the Western Hemisphere, in-flight Wi-Fi is beamed up from towers on the ground, not down from a satellite over your head. So, if your plane is crossing a large body of water, don’t count on getting any service once offshore. (Flights over the Gulf of Mexico often stay close enough to land that this isn’t an issue.) Same goes for crossing borders: your Wi-Fi will work for a hundred miles or so once you cross into Mexico, but once that US signal goes out, so does your connection. For whatever reason, Gogo is slightly less awful on phones than it is on laptops. Which means you can often send email, read, and do research more efficiently with your mobile device. The big luxury hotel chains realized this past year that if Super 8 could offer Wi-Fi for free, they probably should too. So most of them now do. Theoretically. Knowing your average luxury-hotel patron has more money than patience, the "free" connection isn’t fast enough to do stuff like, say, stream in-room movies instead of getting them on pay-per-view. BUT if you’d like to shell out an extra $10-$25 a night, you can upgrade to their "premium” service." Well played, luxury brands. Plan to use your phone as a hotspot. 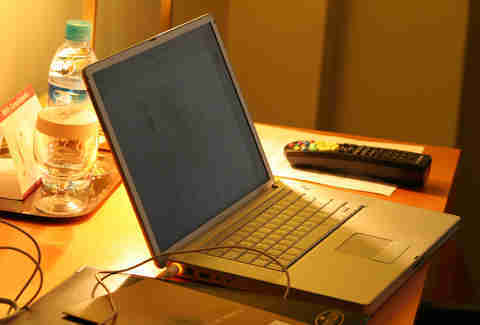 Although the Wi-Fi at Super 8 is still top notch and free. First, congrats on getting sent to some far-off foreign locale on the company's dime. We're glad your boss loves/hates you. Depending on where you're headed, though, there's a chance the "Wi-Fi" might not be quite as fast as it is back at the office. Or, it could be faster, who knows. But since you won't know until you arrive, play it safe and double or triple the amount of time you’d typically need for online activities. 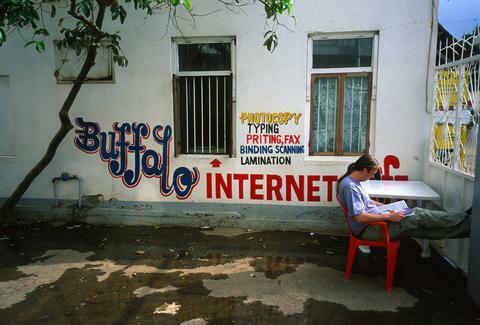 And don’t be fully shocked if you're in a developing country and the hotel desk clerk says, “The Internet hasn’t worked for the past couple days, I’m not sure what’s up.” Just expect it. It’s not news to anybody that texting and surfing the Internet (do people still say that?) like you’re at your desk can rack up a nasty phone bill. But even if you connect to Wi-Fi to avoid those charges, newer phones have a lovely little feature called “Wi-Fi Assist” -- which allows the phone to use a local cellular signal to boost the Wi-Fi strength. And the best part of the new feature is that you’ll get charged for the use of said cellular networks. Goodie. So, just make sure it's turned off before you travel. Cruise ship Wi-Fi is like every free agent ever signed by the Seattle Mariners: obscenely expensive and painfully slow. You’ve got 4,000 people all trying to Instagram their "King of the World" pictures plus 1,500 crew members emailing home on a bandwidth that was installed sometime in the early 2000s. And for that you pay about $25... AN HOUR. Some of the newer ships are faster -- but not cheaper. 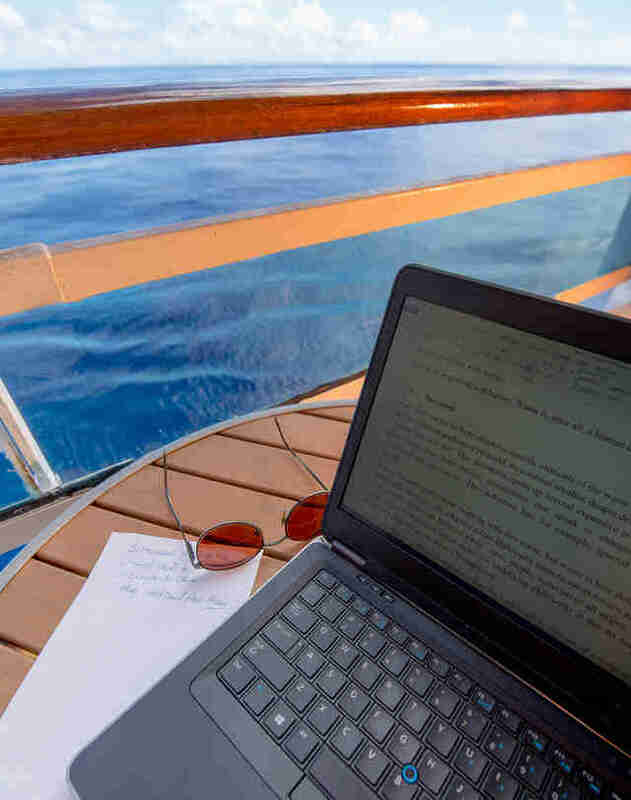 So, if you’re going on a cruise and you told your boss, "Sure, I can totally get some work done, it'll give me a chance to get away from the kids," plan to do everything in your ports of call. If you're lucky. Matt Meltzer is a staff writer for Thrillist who is still amazed he can send emails from 30,000ft. You will see no pictures of wings on his Instagram: @meltrez1.